Besides the standard elements of the Laing D5 (Item 49029) which are have been known for years this "Solar" version has additional features: Besides the extremely long lifespan and the low noise emissions thanks to a unique bearing design this version also has an extremely low starting voltage as it was designed for operation with solar panels. The low starting voltage allows the user to run the pump at very low speeds whilst still maintaining plenty of flow. 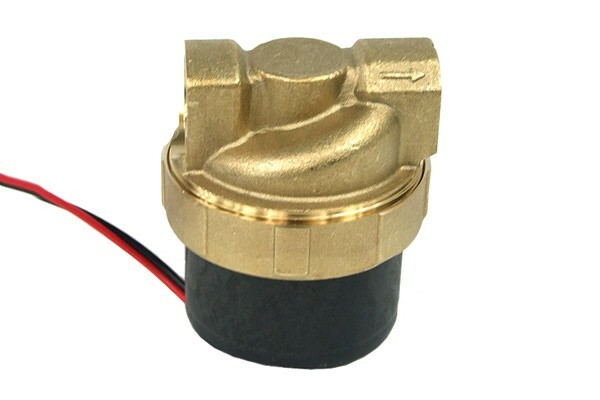 The pump has a current draw of 0.25A-1.45A (Important: Check compatibility of the sockets! ), allowing both absolutely silent operation and powerful use of the same pump when controlling the pump's speed via a fan controller. This pump is perfect to give you the choice from two extremes and anything in between! The Laing pump's electronics are not waterproof. Please make sure that the electronic components do not come in contact with water during installation or when working on the pump. When replacing the top always ensure a proper fit of the O-ring seal and avoid spills when filling the Laing reservoir. Damages due to water in the electronic components are not replaced by Laing! 406euro ist das euer ernst oder handelt es sich um einen Schreibfehler?